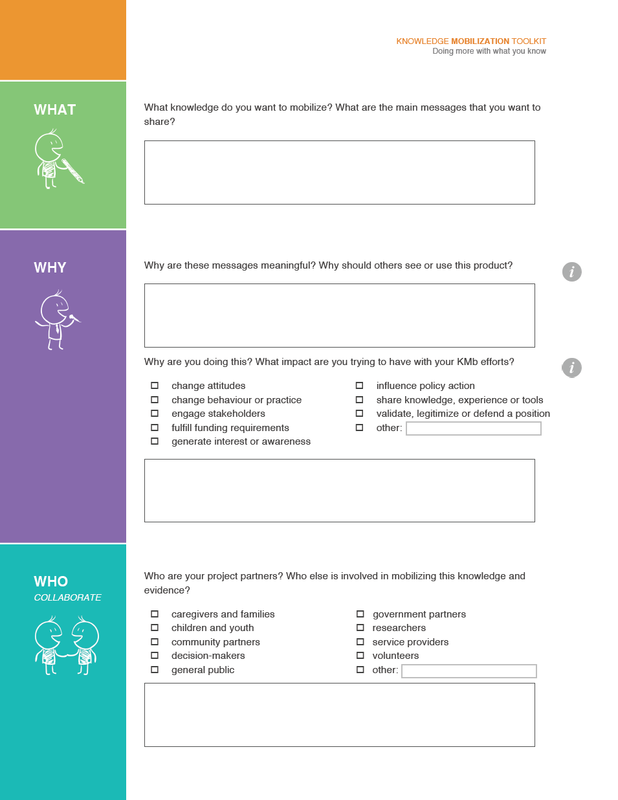 Looking for more information to help you with your knowledge mobilization (KMb) efforts? There are various archived webinars including how to review literature. There is a growing list of learning modules on various topics including communities of practice and partnerships. There are a selection of toolkits and method mini-toolkits, including one on conducting case studies, one of many possible strategies to help you get your message across. Colorado State University outlines the process on how to write an executive summary and tips for conducting case studies, two strategies that can help you get your message out there.